Oscar Wilde was a playwright, novelist, and poet who was a native of Dublin, Ireland. As a writer he is best known for his novel The Picture of Dorian Gray and his play The Importance of Being Earnest. 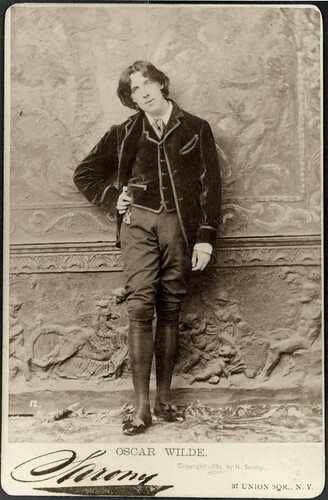 Apart from his writing, his wit and lifestyle made Wilde one of the best known personalities of his time. Oscar Wilde was born Oscar Fingal O’Flahertie Wills Wilde was born at 21 Westland Row, Dublin in 1854. He was educated at Portora Royal School at Enniskillen and at Trinity College Dublin. Following graduation from Trinity, Wilde was awarded a scholarship for further study at Magdalen College in Oxford. Having completed his studies at Oxford in 1878, Wilde moved to London where he began writing poetry. In 1882 he travelled to North America where he spent almost a year on a lecture tour. He spent the following year on the lecture circuit in Ireland and England before taking up a post as editor of a woman’s magazine. During his time as editor Wilde began writing what would be his most famous works. By 1890 he was one of the most successful playwrights of his time. In February 1895 the Marquis of Queensbury accused Wilde of being a sodomite. Wilde sued him for slander but lost. In the trial which followed Wilde was found guilty of gross indecency and sentenced in May 1895 to two years of imprisonment. On being released he moved to France where he died on November 30th 1900. He is buried in Père Lachaise Cemetery in Paris. Oscar Wilde, playwright, novelist, and poet, was born in Dublin in the year 1854 On This Day. Percy French was a native of Co Roscommon, Ireland. He is regarded as one of Ireland’s greatest ever songwriters. French was also a famous entertainer and watercolour painter. He painted the watercolour, ‘Where ever I go my heart turns back to the County Mayo’ in 1902. It was sold by Dublin art auctioneers Whytes in 2005 for €44,000. Percy (William) French was born at Cloonyquin House near Tulsk, County Roscommon in 1854. He was educated at Foyle College, Derry and in 1872 he began studying civil engineering at Trinity College Dublin. However at college French appears to have devoted much of his time to song writing, dramatics, painting and learning to play the banjo. He wrote his first successful song for a ‘smoking concert’ (live performance) in 1877. The song, which was called Abdul Abulbul Amir, became very popular but made only £5 for the writer. French graduated from TCD as a civil engineer in 1881 after nine years at the University. He was employed as Inspector of Drains with the Board of Works in County Cavan. While working in Cavan he indulged his passion for painting and wrote two of his famous songs: ‘Phil the Fluter’s Ball’ and ‘Slattery’s Mounted Fut’. When he lost his job with the Board of Works in 1887 he began working as editor a weekly comic paper called ‘The Jarvey’. However the paper failed and French began his career as a fulltime entertainer and songwriter. He married Ethel Moore in 1891 but both his wife and daughter died a year later. French became famous for songs such as Gortnamona and The Mountains of Mourne. In 1893 he married Helen Sheldon and they had three daughters. By 1900 he had become a well-known and very successful performer in Ireland. He began to tour successfully in the theatres of cities all over Britain and in 1910 he toured North America and the West Indies. He returned to Ireland each year to perform in towns and holiday resorts around the country. On one occasion he advertised a concert in the town of Kilkee in County Clare but was delayed getting to the venue because a train of The West Clare Railway broke down. He was awarded £10 damages and the incident led to him writing one of his most famous songs: Are ye right there Michael? In January 1920 Percy French was giving performances in Scotland. Whilst giving a series of concerts in Glasgow he contracted pneumonia. He moved to live with his cousin in the town of Formby near Liverpool. He died a few day later at the age of 65 on January 24th 1920. 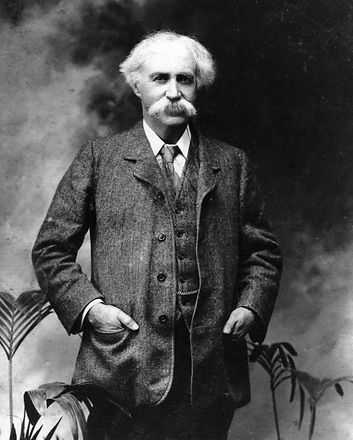 Percy French was born in the year 1854 On This Day. The Washington Monument in Washington DC was built to commemorate George Washington the first President of the United States of America. At 170m it is the tallest obelisk in the world. The Monument attracts over half a million visitors each year. It contains memorial stones from international donors. One of those is the Washington Monument Pope’s Stone. The Washington National Monument Society was formed in 1832 on the anniversary of the birth of George Washington. Following a period of fundraising a competition was held in 1836 to design a memorial and the cornerstone of the Monument was laid on July 4th 1848. Donations ran out and construction stopped in 1854. By then the monument had reached a height of 46m. Requests were made for donations in either money or memorial stones to help in the building and the decoration of the monument. Almost 200 memorial stones were donated from all over the United States and from countries around the world. Pope Pius IX donated a marble stone one metre long by half metre high. It came from the ruins of the Temple of Concord in Rome which had been built in 366 BC. The stone was engraved with the words ‘FROM ROME’ and arrived in Washington DC in October 1853. The anti-immigrant, anti-Catholic ‘Know-Nothing Party’ objected to the stone being used in the Monument. Nine members of the party broke into the grounds of the Washington Monument. They stole the stone and dumped it in the Potomac River. Following the American Civil War building recommenced in 1877 on the Washington Monument. It was finally completed and was dedicated on February 21st 1885. The monument was opened to the public on October 9th 1888. 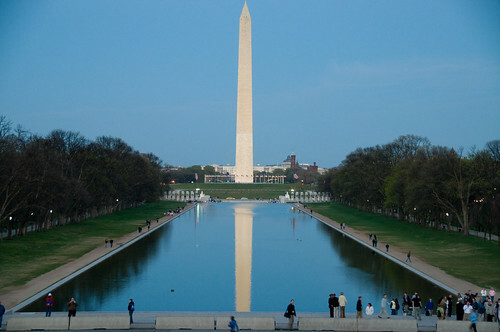 The Washington Monument ‘Pope’s Stone’ was stolen and dumped in the Potomac River in the year 1854 On This Day. Edward Henry Carson was born in Dublin in 1854. He was educated at Arlington House, Portarlington, Co Laois and at Wesley College Dublin. He studied law at Trinity College Dublin where he was a member of the college hurley team. He was also a leading member of the College Historical Society. Carson graduated from Trinity College in 1878 and went on to study law at the King’s Inns in Dublin. After graduation he was called to the bar and became one of Ireland’s leading barristers. 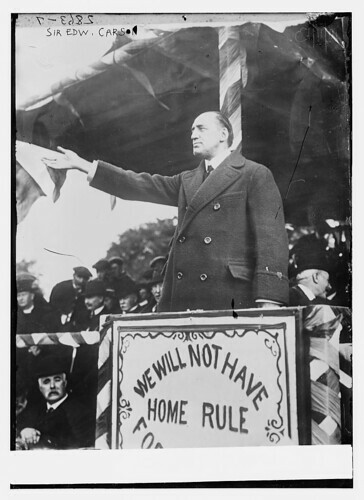 Though he disliked ‘the culture of Orangeism’ Carson was opposed to Home Rule for Ireland. He became leader of the Ulster Unionist Party in 1910 and was the first signatory of the Ulster Covenant on September 28th 1912. Carson opposed the Anglo Irish Treaty but refused to stay as leader of the Ulster Unionist Party and become the first Prime Minister of Northern Ireland. In a speech opposing the Treaty in 1921 he said: “What a fool I was! I was only a puppet, and so was Ulster, and so was Ireland, in the political game that was to get the Conservative Party into Power.” In later life Carson is reported to have expressed his disillusionment with Belfast politics. He was created a life peer in 1921 and retired in 1929. He died at his home at Isle of Thanet, Kent at the age of 81 on October 22nd 1935. Edward Carson was born at 4 Harcourt Street, Dublin in the year 1854 On This Day. Patrick O’ Donoghue from Clonegal, Co Carlow, Ireland was a member of the Young Ireland Movement. The Young Ireland Movement was an Irish nationalist, political and social movement which was active in the mid nineteenth century. The Movement had grown out a split with Daniel O’Connell over the methods being used by O’Connell to achieve the repeal of the Act of Union. The Young Irelanders were especially opposed to O’Connell’s attempts to form an alliance with the Whig Party in England. Patrick O’Donoghue was born in 1810. He attended Trinity College Dublin and was working as law clerk in Dublin when he joined the Young Ireland Movement. Following the failure of the Young Ireland uprising at Ballingarry in Co Tipperary in 1848 O’Donoghue was found guilty of treason by a special commission in Clonmel Co Tipperary. He was sentenced to death but this was later commuted to transportation for life to Van Diemen’s Land, now the island of Tasmania. Shortly after arriving in Hobart, O’Donoghue established a weekly newspaper which he called the Irish Exile. The first edition was published on January 26th 1850. The paper was suppressed by the Governor and O’Donoghue was arrested. He was sentenced to hard labour for one year. On release he began publishing the Irish Exile again. He was arrested once more and sentenced again for a year to hard labour. He was released after a few months and sent to Launcetown in northern Tasmania in 1852. He escaped and in December 1852 boarded a ship bound for Melbourne. From Melbourne O’Donoghue travelled via Sydney and Tahiti to San Francisco and from there to New York. 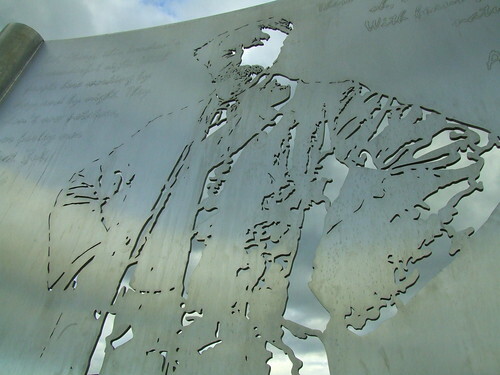 By 1854 he was described as being often depressed, in poor health and estranged from many members of the Young Ireland movement who were also living in America. Following his arrival in America his wife and daughter and his brother sailed from Dublin to join him in New York. On arrival at New York however, they were unable to disembark immediately due to adverse weather conditions. 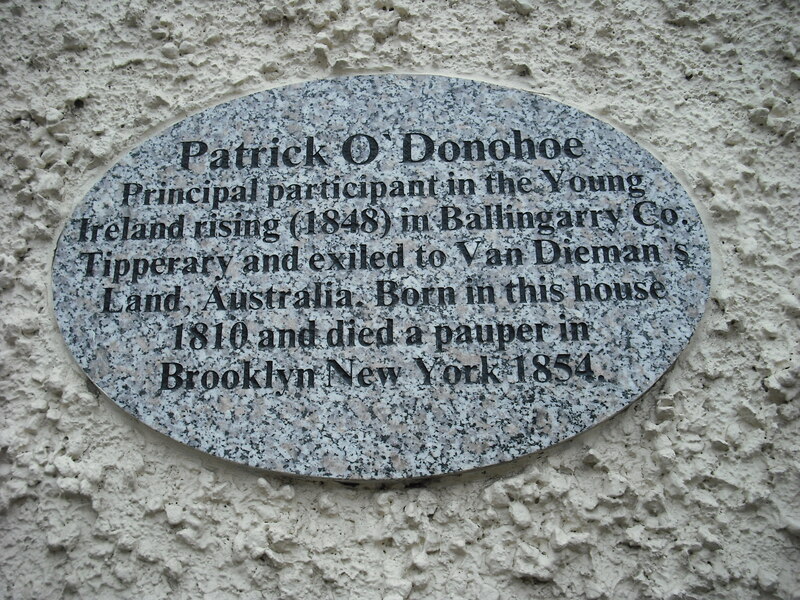 Patrick O’Donoghue died in New York shortly before his family, who had travelled from Ireland were able to disembark in New York Harbour, in the year 1854 On This Day.